Here are some recent board books that caught my eye! Perfect for holiday gifts or for any time of year for toddlers and babies. Not quite a board book, this puffy covered book is done on thick cardstock so the pages should stand up to toddler tugs. A toddler is getting ready to go out and picks out a wooly bear hat to wear. But while his shoes are being put on, he takes the hat off. Jackets goes on and so does another hat. The hat comes off and another is put on when he gets his sippy cup and toys. Going potty means taking off the hat and another is put on when he’s put in the stroller. Finally after bunny is found and they head outside, the final hat is left in a pile of leaves. 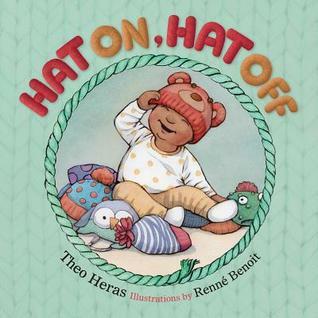 This is a funny and clever look at the problem with hats, shoes, socks, jackets, mittens and more when they are put on toddlers. It’s a universal story that will resonate with everyone. Nicely, the children in the story are not white and there is a lovely lack of gender specificity in the main character as well. 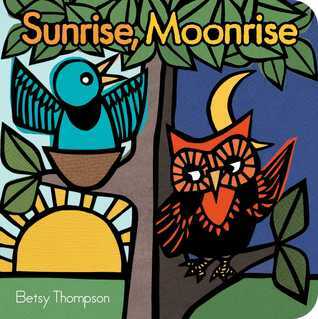 The day starts with a bird singing at sunrise. Squirrel runs, fish swim, bees buzz. Owl is asleep. The sun sets and squirrel falls asleep. New animals emerge like fox and fireflies. Bats swoop in the sky. There is a clear difference between day and night forest creatures here that is gently told. The art is bold and bright, the black lines forming almost a stained glass effect on the page. This is a lovely look at animals throughout the day. Another wonderful interactive book, this time perfect for very young children. 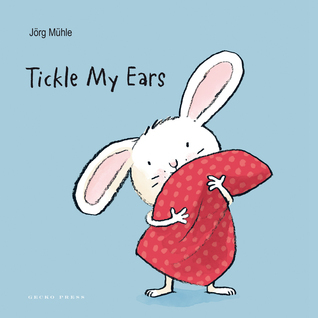 Little Rabbit is getting ready for bed and it’s up to the reader to help him.He’s going to need help with getting his pajamas on with a clap of your hands. His pillow needs fluffing. His ears need a little tickle and his back needs to be rubbed. Then comes tucking him in, a goodnight kiss and the lights. This book is cheerful and sweet without being sugary. A perfect antidote to children hooked on apps and devices and who need to head to bed.